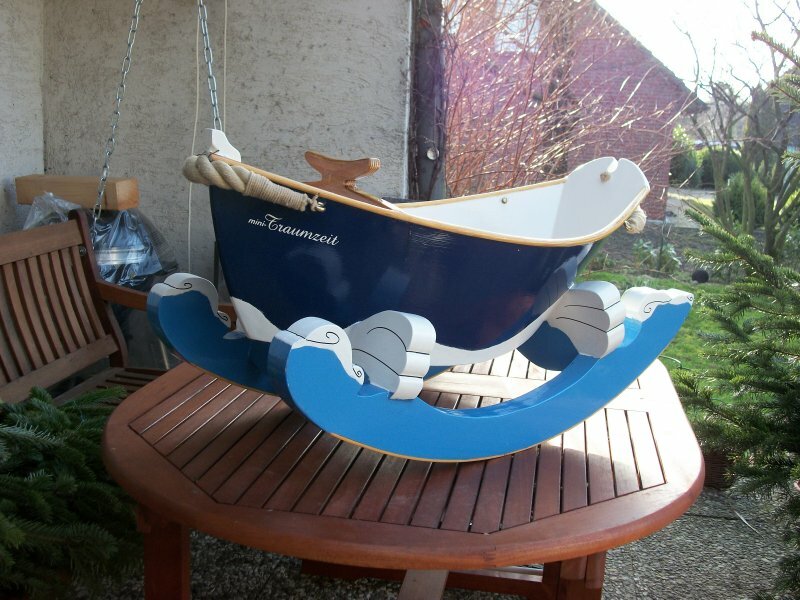 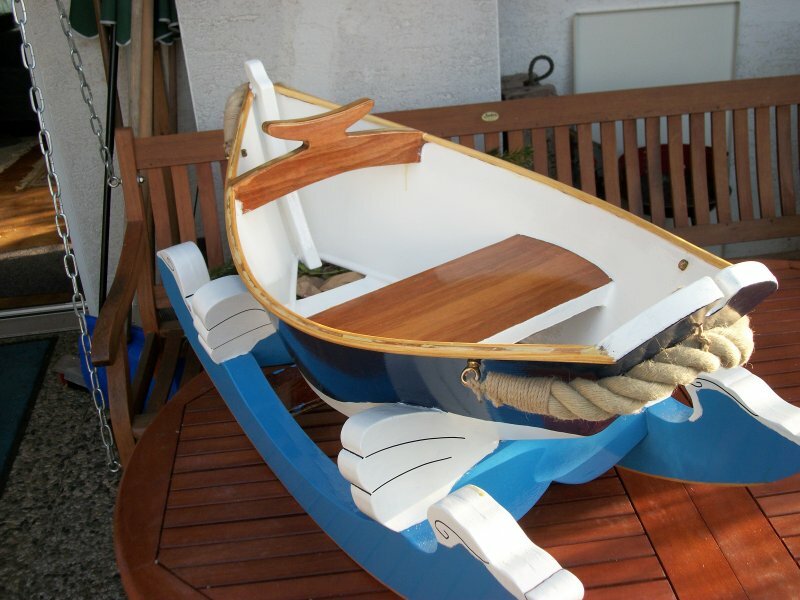 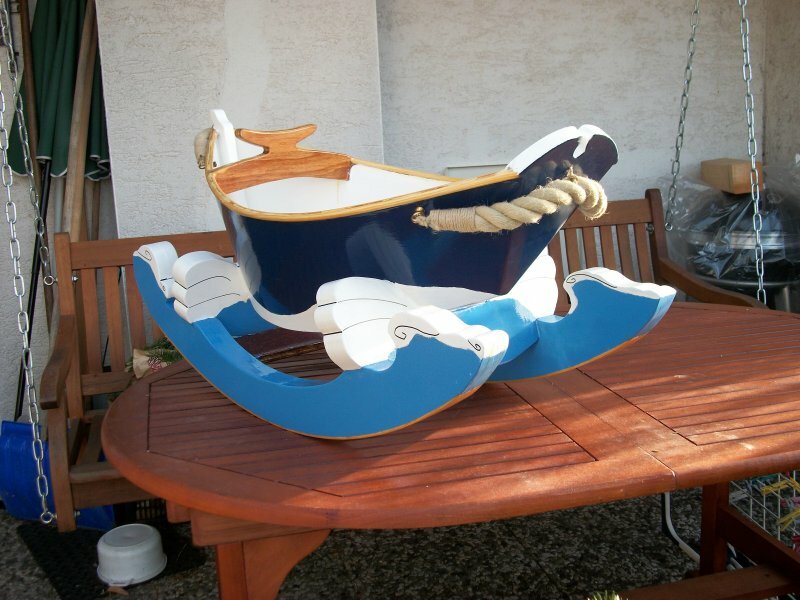 Wolfgang Müller of Beckdorf, Germany, recently launched this Gloucester Rocker that he built for his nephew Jannis. 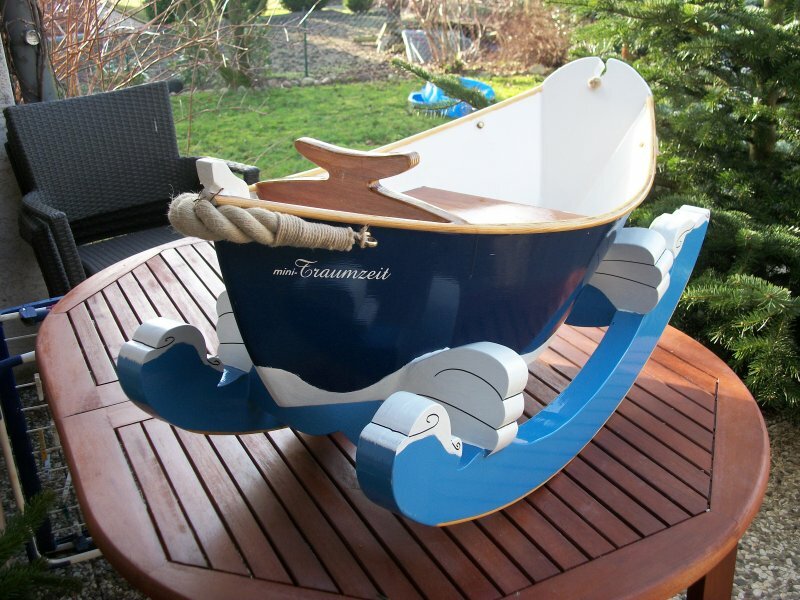 Though only a year old, Jannis took command of his first ship with pleasure. 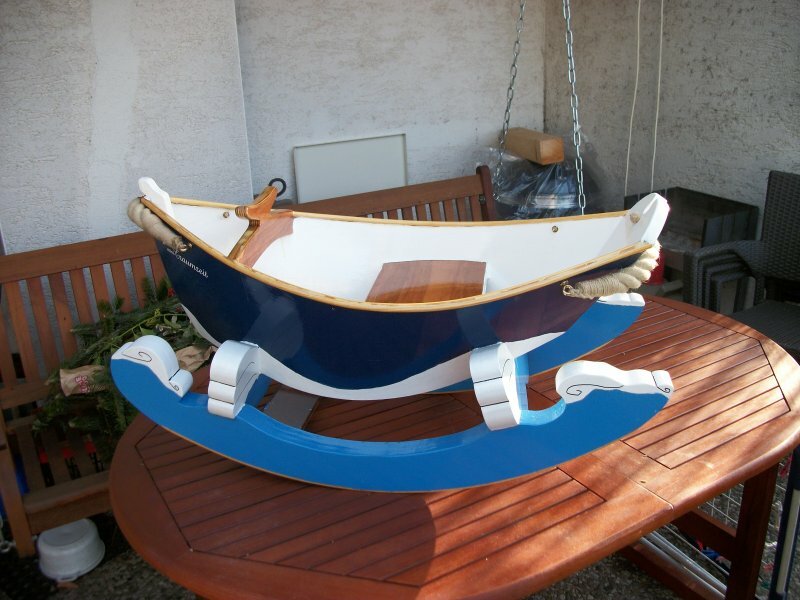 Plans are available from The WoodenBoat Store.